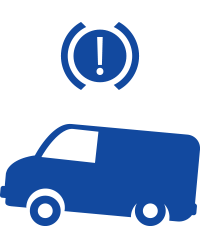 Coil SumoSprings® by SuperSprings® International, Inc. Coil SumoSprings® improve the load leveling ability of original equipment front and rear coil springs. Manufactured from micro-cellular urethane, the material's progressive spring rate creates a cushion effect, enhancing capacity and ride comfort. They install by simply being slid between the turns of the coil spring. Coil SumoSprings have been tested to increase the capacity of coil springs by 15% to 30%. This makes for better suspension; all from a simple and budget friendly product. Whether it is added weight (snow plow, bumper, bike rack, etc.) or coil springs worn out from use and age, Coil SumoSprings will enhance your suspension to give it the boost you need. Coil SumoSprings increase driver control by reducing sway and providing tighter handling. These increases will result in a longer life span for your brakes, tires, and more. Coil SumoSprings are a great way to add capacity for applications such as a mini van loaded up with camping equipment, a sedan carrying a bike rack, a truck with a replacement bumper, and more. Are Coil SumoSprings like other coil spring inserts? Coil spring inserts work in two ways. First, inserts work by changing the structure or anatomy of the spring itself. The insert changes the spring from a single spring, to two separate functioning sections. This split increases your coil capacity because it generates additional stiffness. In theory, you could shove a piece of wood in the middle of a spring and you would see increased capacity. So, yes, Coil SumoSprings are the same as other inserts, wood included. So what makes one insert better than the others? Second, the spring rate of the insert’s material affects the spring’s behavior. The block of wood has no spring rate, so although you may see an increase in capacity, it is solely because you made the springs stiffer. 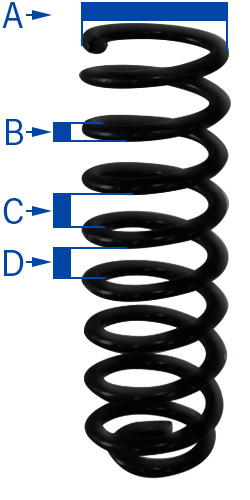 By using micro-cellular urethane, the Coil SumoSprings act as a spring within a spring. 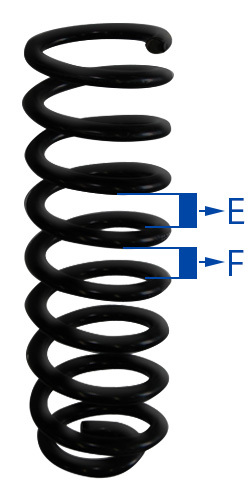 Not only is capacity increased by the change in spring structure, but the progressive spring rate of the Coil SumoSprings increases capacity and ride comfort as well. What is the capacity of Coil SumoSprings? Coil SumoSprings can be used on any application with a coil spring. There is no way to give an exact capacity for every application. 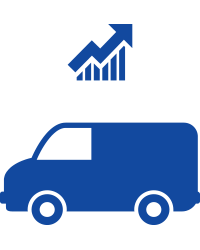 We have tested Coil SumoSprings on trucks, passenger vans, sedans, utility vehicles, and more. From these tests, we have determined Coil SumoSprings consistently increase the capacity of the coil spring by 15% to 30%. How do I determine which Coil SumoSprings fits my vehicle? We have listed several applications by year, make, and model in the interactive Application Guide. Just sort by Product Category “Coil SumoSprings,” and your make and model. If your model is not listed, here are some ways to determine which Coil SumoSprings are right for you. The last three digits of the Coil SumoSprings part number indicate the height of the inner wall. So, CSS-1125 has an inner wall height of 1.25″. You want to use Coil SumoSprings that slide in the turns of the coil unloaded and are snug and slightly pre-loaded while the vehicle is on the ground. We are here to help! Enter your measurements in the form below and we will help confirm a fit. Will Coil SumoSprings help my minivan's or sedan's suspension? Yes, absolutely! Coil SumoSprings are very popular on mini vans with bike racks, camping equipment, etc. The Coil SumoSprings will increase the capacity to help level out any sag, and also reduce the amount of sway in the vehicle. The same is true for sedans. Some people choose to use Coil SumoSprings on sedans simply to tighten up their vehicle’s handling. If your vehicle is not listed in the Application Guide, we would like to recruit you for some research and development! Complete some simple measurements and we will confirm a fit for you. Once confirmed, we will add the application to our Application Guide for others to benefit from. Enter the dimensions into the form and submit. Please enter a number from 0.00 to 9.99.